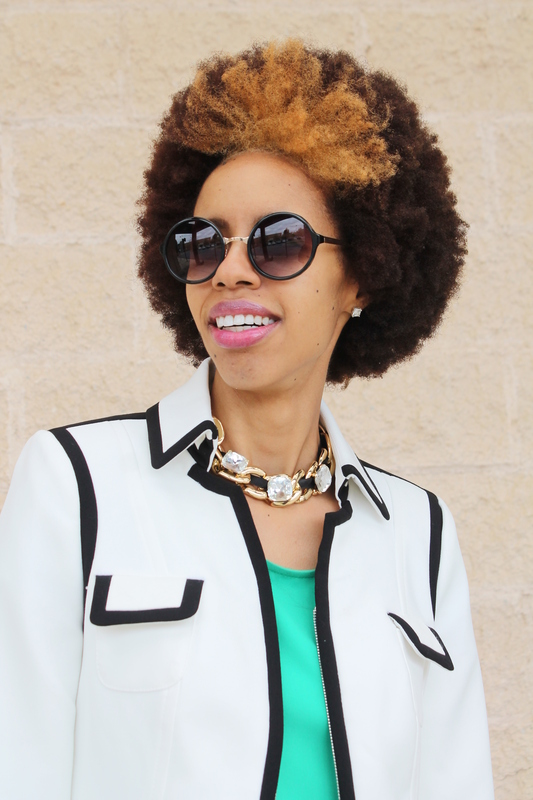 It was only a few weeks ago that I featured a White House | Black Market blazer on my blog. A fashionista can never go wrong with elegant and stylish outerwear, which I have often found at this boutique! This bold black and white jacket will compliment many cool weather ensembles for years to come! It is heavy enough to keep warm and chic enough to dress up or down (this jacket will be featured again in a more casual look with jeans, so stay tuned). I love the class and timeless look of all WHBM apparel! 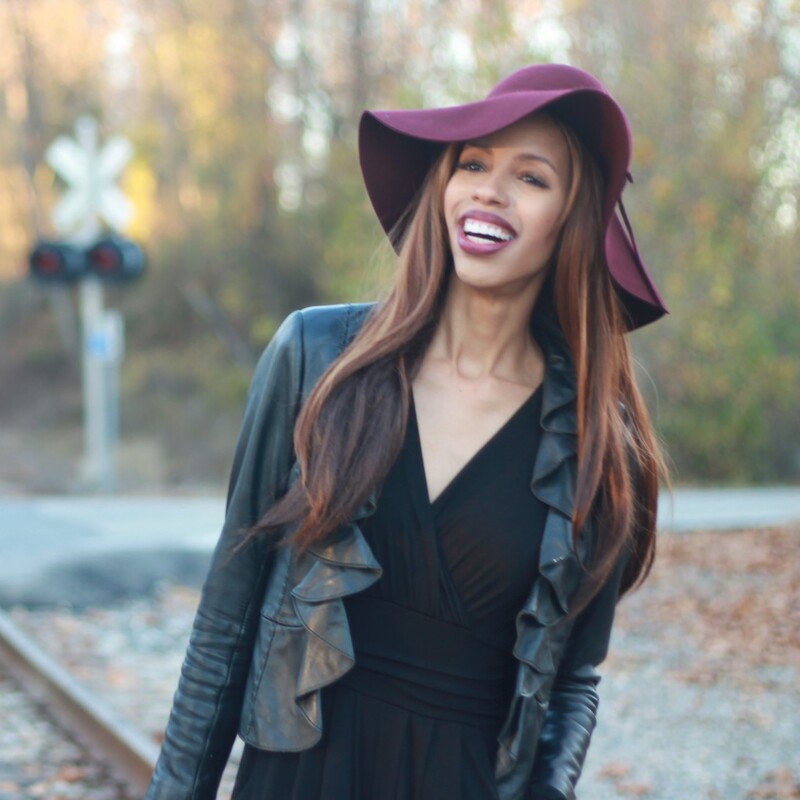 ♡ Check out my 3 reasons why I love WHBM, see more WHBM outerwear here and here and see additional ways I’ve styled WHBM apparel here, here, here and here. Jacket & Necklace: White House | Black Market. Dress: Primrose Boutiq. Clutch: Thrifted. Boots: Guess. Sunnies: Francesca’s. This entry was posted on November 2, 2014 by LaQuisha Hall in Dresses, Jazzy Jewelry & Accessories, Natural Hair Flair, OOTD.